Note: This article is part of a collection of posts from four years of the Get the Point blog for SharePoint end-users. Some links may not work in all countries. 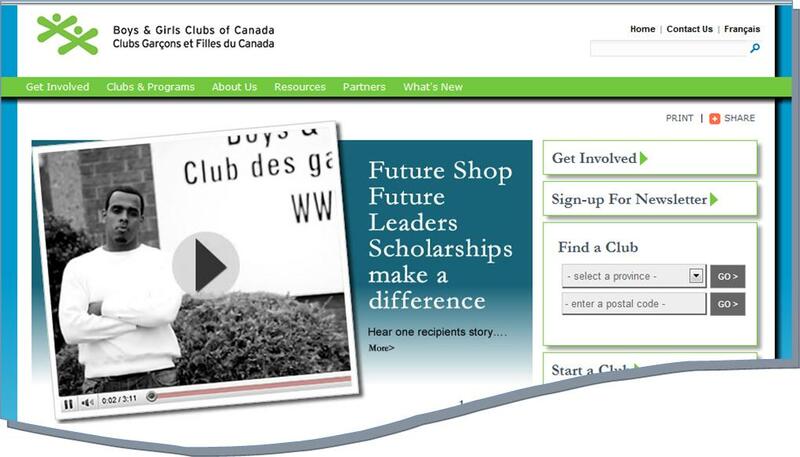 The Boys and Girls Club of Canada (BGCC) needed Web solutions to make their Internet pages more engaging and useful and their internal sites more productive. After building solutions with SharePoint Server and Microsoft Dynamics CRM, the club experienced an increase in site traffic, volunteers, and donations, while cutting administrative costs. The BGCC provides programs that support the healthy physical, educational, and social development of more than 200,000 Canadian young people and their families each year. It is an association of more than 100 clubs located in 700 communities across Canada. Clubs are in neighborhoods where they are most needed—in large city centers, in remote rural communities, and on First Nations reserves. The BGCC needed to deepen awareness of its programs among the communities and find better ways of working internally. The organization worked with a partner, Envision IT of Mississauga, Ontario, to build both external and internal Web solutions. For more details, see the recent "Youth Organization Boosts Site Traffic by 20 Percent with Dynamic New Web Presence" Case Study. A more visually engaging and interactive site that includes blogs, and integration with external social media sites. The ability to track clubs, service locations, staff, volunteers, donations, campaigns, newsletters, and marketing campaigns through Dynamics CRM. A members only portal where people can find the content that's targeted for them, based on their permission level.